Five more banks have joined a global banking consortium led by fintech firm R3 CEV, which is working on a common framework to develop blockchain technology for financial markets. The addition of BNP Paribas, Canadian Imperial Bank of Commerce, ING Bank, Macquarie Bank, and Wells Fargo bring the total number of banks in the initiative to 30. The R3 consortium represents the first global co-operative effort to develop a standardised framework for the use of blockchain, the distributed ledger technology underpinning bitcoin transactions. The banks’ consortium first counted 9 banks, which were quickly joined by 13 more, and, eventually, Nordea, UniCredit and Mizuho too joined in October. It now encompasses the world’s biggest banks – with the notable exception of Chinese lenders. Charley Cooper, R3 managing director tells GTR that the bank members are participating actively in the research, design and build phases of this technology, contributing not just financial resources, but also their own expertise and staff support. “Our consortium brings together a broad group of financial services companies that span the globe and bring to bear expertise in all aspects of banking. Working together in this collaborative way strengthens our effort and focuses increased resources on these innovative technologies,” Cooper says. 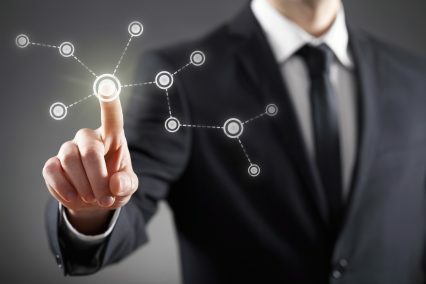 The consortium’s manifest goals are to develop a shared lab environment to test and validate ledger prototypes and protocols, produce case studies that apply the technology to different financial services including trade finance, and to form an expert group to focus on regulatory and legal implications. According to Cooper, the results of the co-operation are showing already. “We’ve begun prototyping across various parts of the distributed ledger technology. We have teams working on architectural design, use cases, and legal and regulatory issues. Each day we learn more and our production efforts grow more robust because of the active participation of the R3 team and our bank members,” he says.